How to add a calendar. If you choose to log into MeetNotes using Google or Microsoft Office 365, your account is automatically synced with MeetNotes and all of your meetings appear on the dashboard. 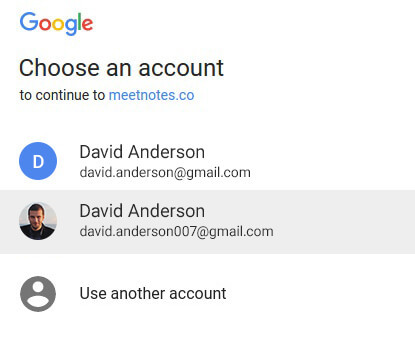 If you do not wish to use a Google or Microsoft Office 365 account to sign in, calendars can be added later to your MeetNotes account. Once you have signed in with your username and password, click on the "Add Calendar" button from the meeting dashboard. 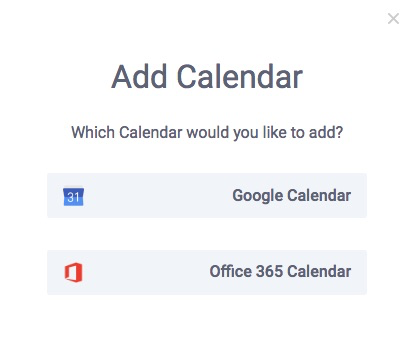 You can choose to add a Google or Office 365 calendar. 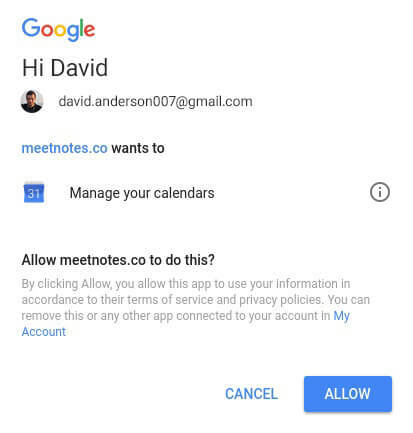 Select the account that you would like to add and click "allow" to authorize MeetNotes to manage your calendar. That's how you can add a calendar to MeetNotes. Adding a calendar facilitates effective management of all your meetings.